Amanda has been practicing since 2011. After falling in love with hot vinyasa, she received her first 200hr Yoga Teacher Training in 2013. Soon after she found the Barkan Method of Fort Lauderdale, and has been practicing regularly there ever since. In 2016, she received her 2nd 200hr Yoga Teacher Training with Jimmy Barkan, and in Oct of 2016 completed her advanced Teacher Training with Jimmy Barkan as well. Amanda has dedicated herself to be her best, as well as helping others be theirs! Caprice stepped onto a yoga mat in Ft. Lauderdale, Florida in 2003 at Barkan Method for her first class. At first, it was just a simple one-class-a-month-thing she added into her exercise regimen. But come three years later, while living in Manhattan, she discovered numerous studios and began to sample all of the various styles the city had to offer. As she rode the subway to work, she began to prepare for her day by meditating on the train. The habit became natural, easy and fluid and would eventually lead her to strolls around the city finding places to stop, sit, breathe, and meditate. Her first step towards a more peaceful life, no matter how chaotic the outside world portrayed. After NYC, she moved back to Ft. Lauderdale and decided to start going on yoga retreats for vacation in France and Thailand. By 2011, her daily practice of asanas and meditation led her to sign up for her first yoga teacher training at Red Pearl Yoga, graduating with her 200-RYT. By 2014, she decided to expand her skills with her favorite type of yoga, Hot Yoga, and acquired her Level 2/3 Hot Yoga Vinyasa training with Jimmy Barkan (Barkan Method), and has had continuing education since, allowing her to obtain her 500-RYT. Today, Caprice holds her own yoga/surfing/relaxation retreats in Costa Rica and has also co-chaired in Monaco, St. Tropez, Corsica, and Italy. And has been a guest teacher on the Zen Cruise to Mexico. In 2017, Caprice was not only asked to coach yoga teacher trainees, but she began designing, and still does today, an arm-balancing curriculum taught to yoga teachers from around the world under her guru, Jimmy Barkan. Lastly, what drew Caprice to yoga was noticing how she could stop and reset her life and/or day, especially after being in trial or a deposition working as a full-time court reporter, by unrolling the mat and letting go. Today, her classes aspire yogis to dig deep, push to their personal edge, all with a twist of humor, playfulness, and a rockin' playlist. 2011, 200-RYT Hatha Yoga certified with a background of: Children's Yoga, Yin Yoga, Iyengar, Ashtanga, Prenatal, Budokon, Jivamukti, Kundalini, Sivananda, and Meditation. 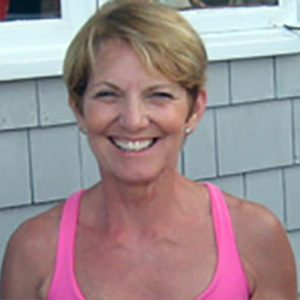 Donna is certified to teach the Barkan Method Level I and Vinyasa Levels II & III. She makes every effort to practice with her mentor, Jimmy Barkan regularly. She is available for group and private instruction. Elisa discovered yoga over 15 years ago while racing as an elite triathlete representing the Cayman Islands in international races. Quickly falling in love with yoga she went on to become a yoga teacher in 2010 and has been teaching ever since. Combined she has over 500 hours of teacher training, 300 of those hours with Jimmy Barkan. Originally from England, she previously traveled the world working as a scuba diving instructor/photo pro and yachtie. She is a 200 ton boat captain and FII free-diving instructor in addition to her yoga qualifications. Elisa completed the Barkan 40 classes in 60 days challenge last year in preparation for brain surgery to fix a rare CNS condition she was suffering from. She felt strong going into surgery and healed quickly, returning to her practice with no time to waste. Elisa’s classes are strong and dynamic, with a healthy dose of nurturing at the end. Jamie started practicing yoga in 2006. Training for half marathons, she used yoga & weights to cross train. After a hip injury, Jamie began practicing yoga every day to not only heal her hip, but also to stay strong throughout the process. The injury healed, and she became inspired to become a yoga teacher to help others. Jamie was certified by Jimmy Barkan in 2015 for the Barkan Method Level 1, and has since received her 500-hour certification through the Level II and III vinyasa trainings with Jimmy. As a yoga teacher, she focuses on opening the body in a methodical sequence, ensuring the body responds to the effort you give to each class. Jamie’s classes are structured to strengthen your muscles, build your balance, and open the body and mind, counteracting the physical and mental stress of everyday life. Lisa started teaching at Jimmy Barkan’s studio in Fort Lauderdale, FL in 1996 and is currently his most senior teacher. Lisa’s additional training includes various styles of yoga such as Bikram, Anusara, Iyengar, Phoenix Rising Yoga Therapy, Integrative Yoga, and Ashtanga. She has developed her own sequence which can be experienced on her Warm Yoga Flow CD or Strong Body Stronger Mind DVD. Her yoga flow is beginner friendly yet will still challenge the intermediate student. Since 2004 she has helped Jimmy Barkan certify over 900 yoga teachers worldwide. She has expanded globally and has lead workshops/retreats in Costa Rica, Santorini, Massachusetts, Arizona, Arkansas, Tennessee, New York, New Jersey, Colorado, Chicago, Hawaii, Alaska, Florida, North Carolina, Australia, New Zealand, Tahiti and Fiji. In 2003 Melanie became a certified Yoga Instructor and completed Level II and Level III teacher training of the Barkan Method. 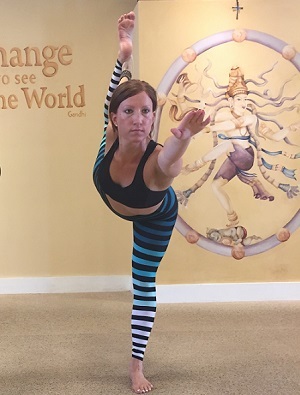 She is an associate trainer for Yoga Kids International completing Phase I in Italy in August 2004 and teaching at Fisher Island Day School and Yoga Connection as well as Yoga Center of Coral Springs. Melanie is currently writing a book of yoga tips featuring her original oil paintings. She has taught yoga while traveling to SE Asia as part of the CARE International delegation following the Tsunami of 2004. She participated in the 2005 Caribbean 1500 sailboat rally and taught yoga while on board and at beaches in the British Virgin Islands and down island as far as Guadeloupe. She has attended yoga retreats in Costa Rica, Brazil, Santorini, North Carolina and Montana. In 2006 she taught yoga on a private island in Fiji as a guest instructor at Treasure Island Resort and she climbed Mt. Kilimanjaro and practiced yoga with her crew while ascending. Currently Melanie is the Yoga component on Yoga & Sail Yacht Charters in the Virgin Islands this winter. Melanie Trunkey Camp is a consultant to authors and President of her publishing company, Trunkey Publishing, Inc. Current and past book projects include The Barkan Method Hot Yoga, Yoga for Jocks, Amsterdam Journals, Boating 101, Childrens Books on Eating Healthy, Artful Yoga, and Oh!To Joy. 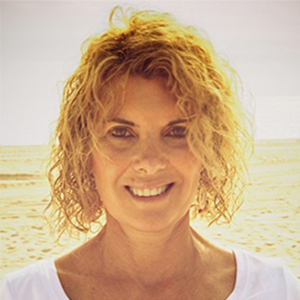 Originally a certified school teacher, Wendy has brought her love of teaching to yoga. 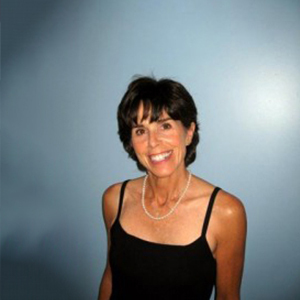 Having attended Jimmy Barkan’s classes since 2001,she became certified in both The Barkan Method Hot Yoga in 2004 and Hot Vinyasa Level II & III in 2006. I was born and raised in Budapest, Hungary. I worked as a flight attendant and I was a runner when I started practicing yoga in 2006. Running hurt my knees and spine, I wanted to compensate the impact. I healed my body with yoga. Six years later, the same year i was introduced to the Barkan Method, I faced multiple traumas in my family, within a year my life has completely changed. It was overwhelming and there was only one thing that helped me to get through: yoga. I healed my soul with the practice. This was the time and the turning point when I decided that I wanted to become a yoga teacher. In 2013, I travelled to NC, Raleigh to complete my 200 RYT training and right after I started to teach at the Barkan Method Budaörs, Hungary. In 2015, I completed the Barkan Method Training Level II/III. Since then I have been working at the Barkan Studio Fort lauderdale. I want to share what I have learned; to become a happier, healtier person and to overcome physical and emotional traumas. Change your vision of Living, its never too late to start! 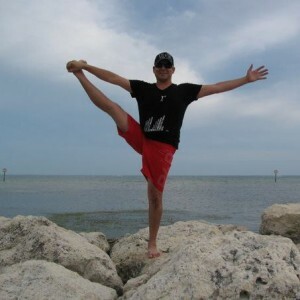 Peter is a 200 Hour Yoga Alliance certified Teacher. 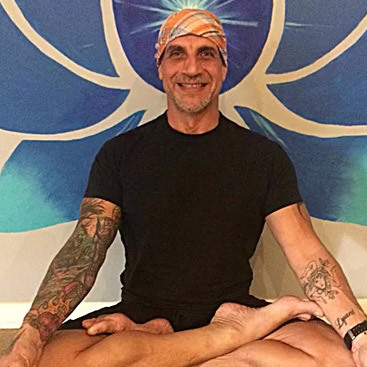 Peter graduated from the Barkan Method Level II/III Teacher Training program in 2014 and has been teaching Hot Yoga, Yin (Shakti) Yoga, and Hot Vinyasa ever seen! 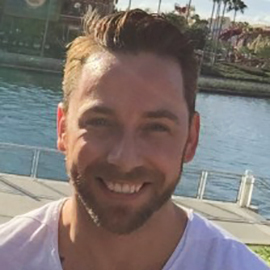 Peter is a strong and passionate instructor and continues to inspire his students with grace and authenticity!